ASU President Michael Crow talks during an interview at the Fulton Center in Tempe, Arizona, on Monday, Mar. 18, 2019. ASU students voiced cautious support for the University's 2019-20 tuition increase at an Arizona Board of Regents hearing Tuesday, blaming the increase on the Arizona legislature's lack of funding rather than the University. ASU’s tuition proposal would raise base in-state tuition by 2.8% for the upcoming academic year, adhering to President Michael Crow’s promise to keep in-state tuition increases below 3% for the next 10 years. Out-of-state tuition would increase by 4.3% and international tuition would increase by 5.3%. While students said that they were generally unhappy with any increase, they also said they understood the University is doing what it can with limited funding from the Arizona legislature. "Obviously, no one likes fee increases," said Cormac Doebbeling, a junior studying political science. "But at the same time, the Arizona legislature … has declared war on higher education in Arizona." Doebbeling said that because of the lack of funding from the legislature, "President Crow and people in our academic institutions have to find out whatever way they can to generate enough revenue to sustain us as a university." Crow similarly defended the increase, saying that low tuition is "just theory unless someone else is financing the University." All four Undergraduate Student Government presidents spoke at the hearing and voiced their support for the tuition increase. Aly Perkins, president of USG Downtown and senior studying public service and public policy, said the Arizona legislature’s lack of funding is a "bigger and broader issue" that causes ASU to "place the burden of financing education" on students with tuition increases. The Arizona legislature currently funds 35% of resident tuition, but a proposed bill would increase that to 50%. Perkins, along with a handful of other students, also voiced support for the proposed increase that would make the fee to attend Barrett, the Honors College $1,000 per semester. Students who support the increase said that Barrett had provided them with programs that facilitated inclusion and academic success, as well as opportunities to travel abroad. But Nicole Morote, a Barrett senator for USG Tempe and sophomore studying marketing, said that the increase was not sufficiently justified to students and that "student concerns have gone largely without response." The USGT senate unanimously passed a resolution opposing the increase in mid-February. Since then, however, the Council of Presidents collectively endorsed the fee increase, saying that as long as certain demands are met, the fee increase will help improve the Barrett experience. Morote, who ran for vice president of policy in this year's USG elections, was a part of the Simmons ticket, which formally opposed the Barrett fee increase as a part of its platform. The Simmons ticket placed second to the Salem ticket, in which current USG president Nikki Tran ran for vice president of service. As the president of USGT, Tran is a current member of the Council of Presidents. “Students don’t know what their money is going towards, don’t understand how this is going to make their lives better, and feel frustrated at what’s happening because it seems like their voices aren’t being heard,” Morote said. Both increases will be voted on at the board’s meeting on April 11. 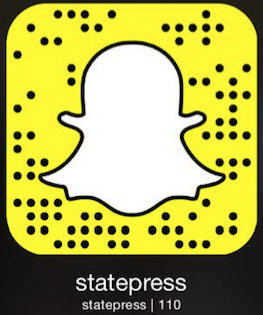 Reach the reporter at bpietsch@asu.edu and follow @bryan_pietsch on Twitter.